Loger is 90 years old shipyard in Omiš, now in the property of Frane Milina from Korčula. He stareted his shipbuilding carrier in the shipyard of Omiš some 50 years ago, i.e. 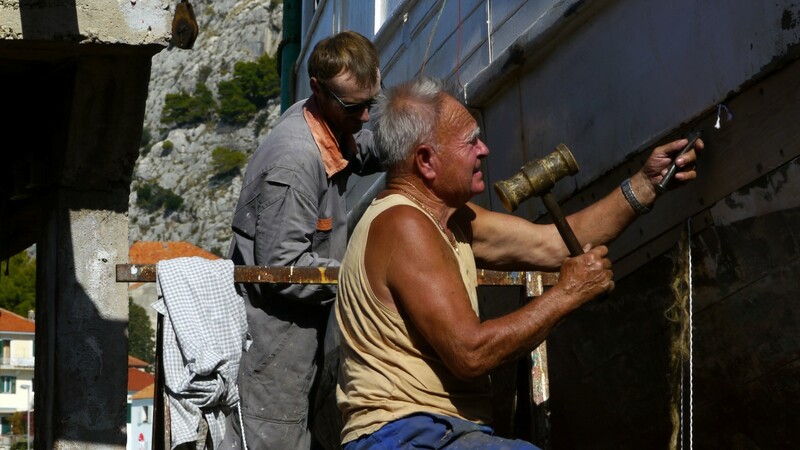 since 1955.Since then he is engaged exclusively in wooden shipbuilding, in designing new ships and repairing the exisitng ones in the entire Dalmatian area.